﻿ SAR Test -Shenzhen STS test services Co., Ltd.
SAR is known as Specific Absorption Rate, which is generally called Electromagnetic Wave Absorption Ratio or Specific Absorption Rate. Is the mobile phone or wireless products, the electromagnetic wave energy absorption ratio, which is defined as: the role of the external electromagnetic field, the body will produce induced electromagnetic field. As the body of various organs are depleted medium, so the body of electromagnetic fields will produce current, resulting in absorption and dissipation of electromagnetic energy. Biological technology commonly used in SAR to characterize this physical process. The significance of SAR is the unit power of the human body absorbed or consumed by the electromagnetic power, in W / kg. De Puhua SAR Labs supports SAR testing of mobile devices such as mobile phones, data cards, tablet PCs, walkie-talkies and other mobile devices. Test frequency range 300MHz-6GHz, including 2G, 3G, 4G, WIFI and other communication standards. The latest introduction of the French SATIMO SAR test system, the test system to meet the YD / T 1644, EN 62209-1, FCC OET Bulletin 65 and other domestic and foreign standards. 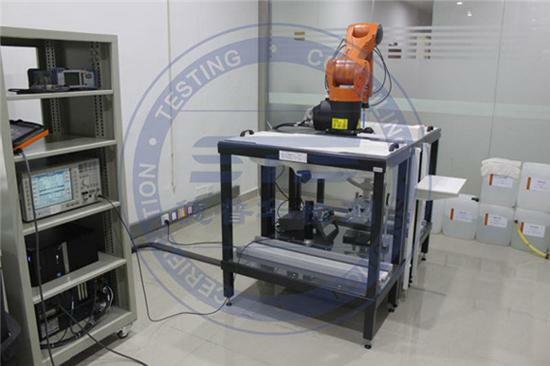 The SAR test system supports dual head table options, with fast test speed, equipment, high stability. 2G mobile phone, 3G mobile phone, 4G mobile phone, walkie-talkie, tablet computer, laptop, USB WiFi, high power Bluetooth headset and so on. WiFi (IEEE 802.11 a / b / g / n). CE-RTTE, FCC ID, IC, Thailand, India, KC, NCC, MIC and so on. SAR test is mainly for the antenna near the body within 20cm of wireless products with wireless launch, and the power of the product beyond the national power of the exemption. As radio equipment (such as mobile phones) in the world wide popularity, more and more government departments, telecommunications regulatory agencies and other requirements to reduce electromagnetic radiation to a suitable level. De Puhua detection to meet the urgent needs of the majority of mobile phone manufacturers, the introduction of advanced mobile phone electromagnetic energy absorption ratio (SAR) test system. The test system, in full compliance with IEEE / IEC / EN and the United States ANSI SAR standards, with fast, accurate, safe and efficient features, but also the most widely used laboratory accredited SAR test system. 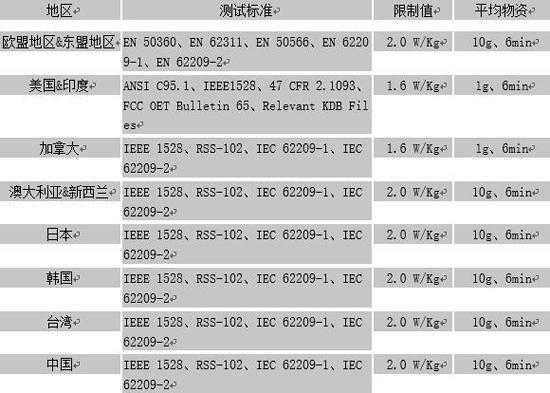 The system test frequency range of 6GHz, can be for GSM, CDMA, WLAN and other types of products (not limited to mobile phones) for certification testing. If you have SAR test related needs, please call us, will provide you with the highest quality testing and certification consulting services.